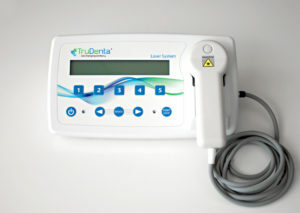 iTero Scanner: Takes a digital impression of your mouth and eliminates the need for a physical dental impression. No more yucky molds! 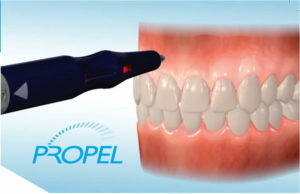 Tools like Propel Excellerator and VPro5 stimulates the activity of cells responsible for bone turnover to speed up the rate of tooth movement. The bottom line: it helps you get to the perfect smile faster! Laser Therapy: No, this is not the laser beams used by stormtroopers, but it is just as cool! The Multi Radiance Medical’s laser technology incorporates three different clinically proven wavelengths to cover the entire spectrum of the therapeutic window. Additionally, static magnetic field and electrical stimulation were also used. 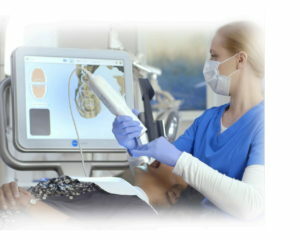 The result is improved micro-circulation, faster healing, and pain reduction.